Nowadays, air conditioning is an essential convenience that we wouldn’t be able to make it without it. During summertime, we need to keep our home’s temperature cool and comfortable as possible, while the weather outside is unbelievably hot. When so, you need to know how to use your air conditioner effectively to optimize your air conditioning system, and in the meantime, saving money on your utility bill. An easy way to make your air conditioning unit work more effectively is turning your A/C down during the night as you don’t require a high level of it, keep it at 78 degrees. If your air conditioning has a programmable thermostat, utilize the “sleep mode” at night. During the day, leave the temperature as it is, even if you’re adjusting it lower the air conditioner cools at the same rate where it’s primarily set and won’t help your house to calm faster. To make your air conditioning unit operate more efficiently, you’ll need to clear it from the garbage and excess brush that has been accumulated in winter. In consequence, the air gets in, and its flow pathway is kept clear. By keeping sunlight from entering the house, it helps to lower the amount of work your air conditioner has to provide. You can support this, by keeping the curtains closed during sunny times. Similarly, you can install a window unit on a shady angle in your home, so that it’ll keep the unit out of the sun and this helps you to reduce energy costs. Even if you’re taking care of your unit and keep it out of the sunlight, you’ll still be needing to clean the air filter to let do good as estimated. To do this properly, replace your air filters once every four months and give them a good cleaning once per three weeks. This is so easy! All you need to do is to take out the filters and scrub them for a few minutes, but remember that it depends on the kind of air conditioning unit you’ve got. It’s not necessary to turn on the air conditioner all the time. At night, you can turn it off and let fans do the work for you. A fan is a powered machine used to create flow within the air; it consists of a rotating of blades which act on the air. The good thing its electric consumption is too low, even if you turn it on all night, it won’t burden your electricity bill. However, a fan cannot replace an air conditioner, as its cooling air is directed into one single angle. We’re talking about utilizing fans when you’re sleeping or just sitting on a couch. But if you’re not lonely at home, would you need to buy a lot of fans? Of course not, just you need to use your air conditioner again! 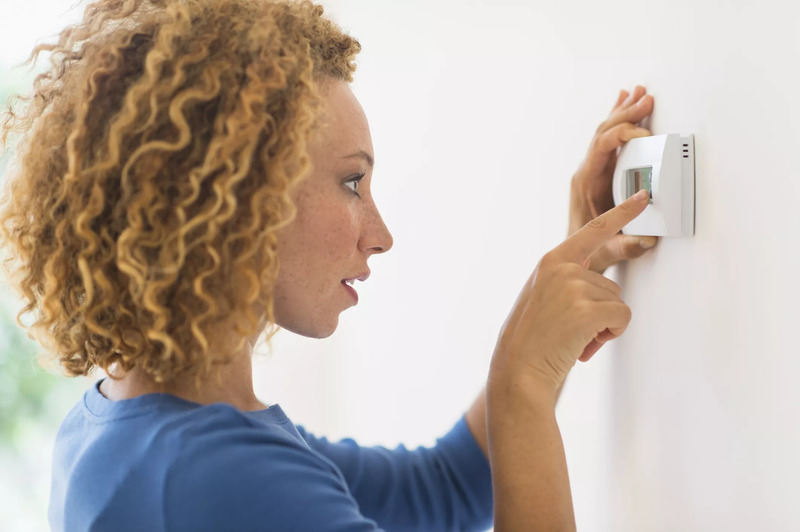 To save energy for an entire summer season, you need to raise your thermostat a few degrees. It may sound weird to you, but no way out! You need to keep your air conditioner warmer from time to time. This is an effortless way to use your air conditioner effectively, and going green while still using an A/C unit. Again, if you have got a smart programmable thermostat or a time-enabled one, you can set the temperature to get higher in the middle of your sleeping time and then it will get lower before you’re waking up! If you’ve got more tips to save more money on electricity bills and keep our energy consumption down for this summer, share them in the comments below.